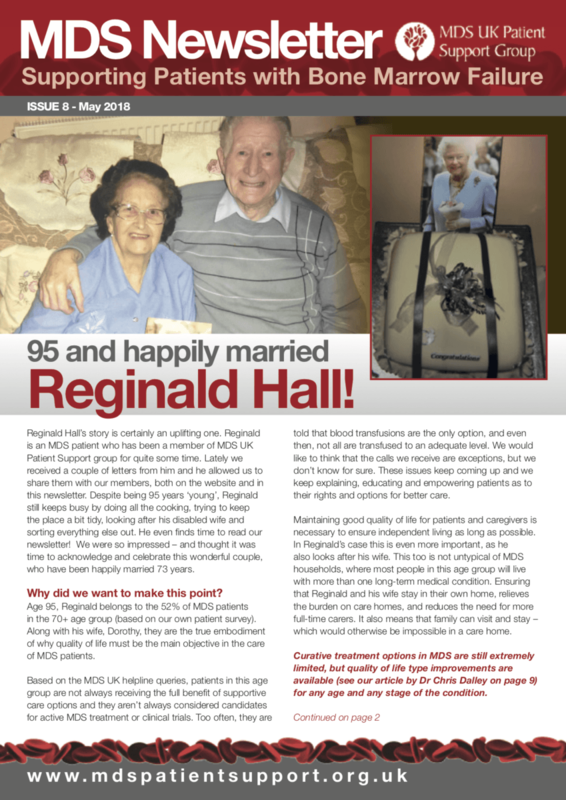 Our 8th edition of the MDS UK Newsletter is now out! Patient's Stories: Reginald Hall, Reverend Kes Grant and Bergit Kuhle. MDS Research: Azacitidine Latest News, Personalised Medicine and EPO Treatments. Advocacy, Fundraising, Local News and much more.